Joanne O’Dowd is a Nottingham based artist & musician, previously known for her digitally manipulated photographic artworks & electronic music. Her creations now focus on electro-acoustic live music & acrylic paintings that range in theme from abstract flowers, geometric landscapes and landmarks. 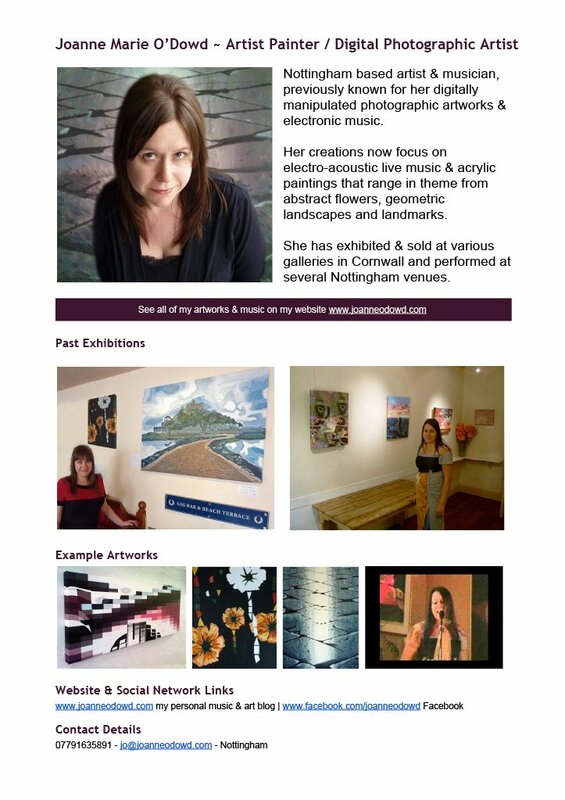 Jo has exhibited & sold at various galleries in Cornwall and performed at several Nottingham venues. Live music performance of songs from her latest album ‘Extracted Passions’ which can be heard at this event 3pm – 3.45. Artwork will be on display for 2 weeks. 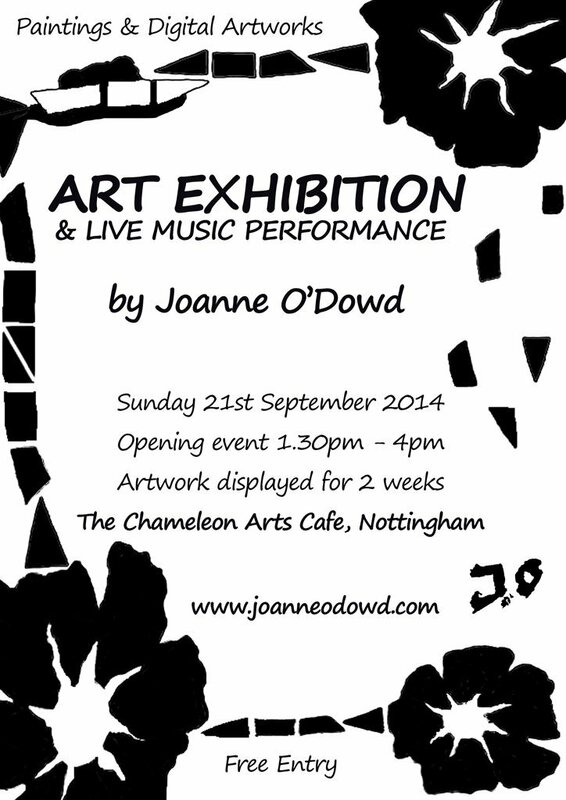 I’m really looking forward to exhibiting my paintings & digital artworks at The Chameleon Arts Cafe, Nottingham.